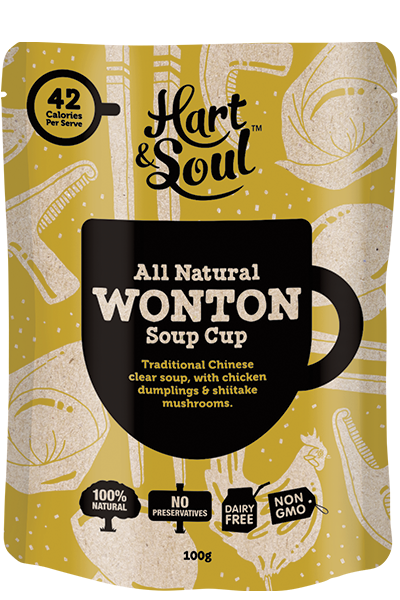 Traditional Chinese clear soup, with chicken dumplings & shiitake mushrooms. Water, cabbage, shiitake mushrooms (7%), Wheat Flour, Chicken (4.5%), Salt, Sugar, Soybean Oil, Spring Onion, Onion, Sesame Oil, Fish Extract (From Anchovy). Contains: Fish, Sesame, Soy & Wheat. Made in a facility that processes; Egg, Fish, Crustaceans, Soy, Peanuts, Sesame & Tree Nuts.